Galentine’s Calligraphy Night at Neatly Nested! « Modern Calligraphy Night at LaBelle Winery! Grab your Galentine and come celebrate the ones you love with us at Neatly Nested Design & Decor! Whether you’re a DIY bride-to-be, interested in adding festive details to your Valentine’s, or just looking to get crafty over some cocktails, in this workshop you’ll be learning an introduction of modern calligraphy with a pointed dip pen and ink. We will cover all the basics and get you ready to add those special lettered details to your snail mail, wedding paper details, or dining table for hosting! 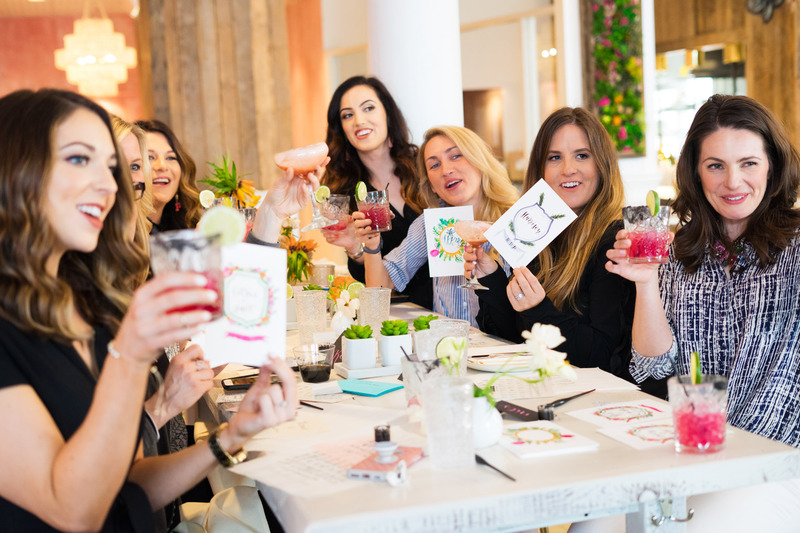 This is the perfect girls’ night out to prep for any fun winter event by creating menu cards, place cards, hostess gift tags and more! Class includes 1.5 hours of instruction and demonstration, our beginner’s calligraphy kit (2 nibs, black ink, straight pen holder, 2 alphabet guides and a holiday word guide), and all Paper Source writing materials. Everything is yours to keep at the end of the night! Cocktails provided by Spiritfruit vodka. *Doors open at 6:00 and class will start promptly at 6:30. Feel free to come early to shop Neatly Nested!